Everyone likes rainbow. Its appearance always gets people’s attention in every situation. It is almost similar when you use rainbow in your stuff like stationary or clothes. More people are interested to see it. Now, get their attention by coming to your birthday party. 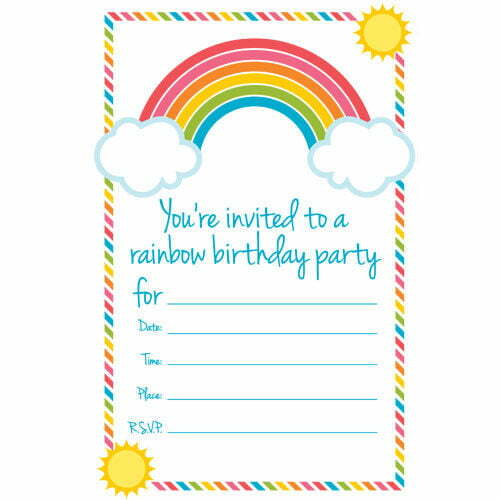 Take a rainbow birthday party theme. 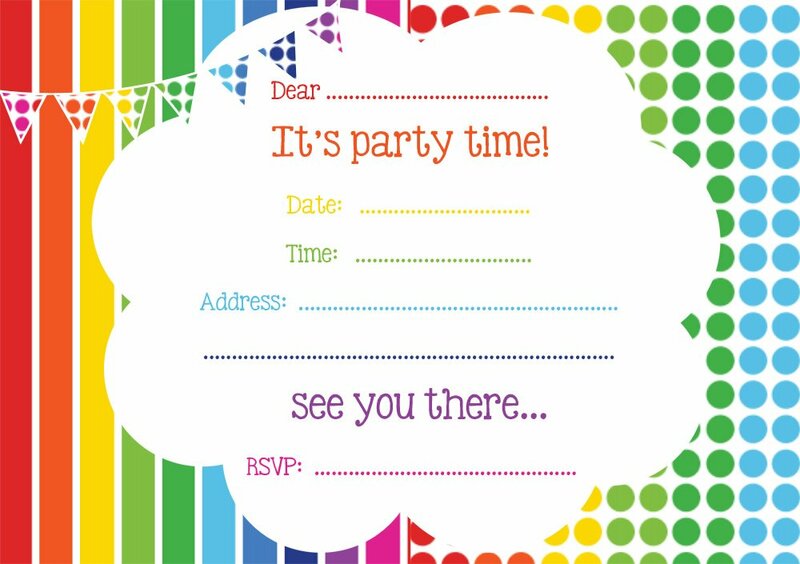 Begin with your invitations card. 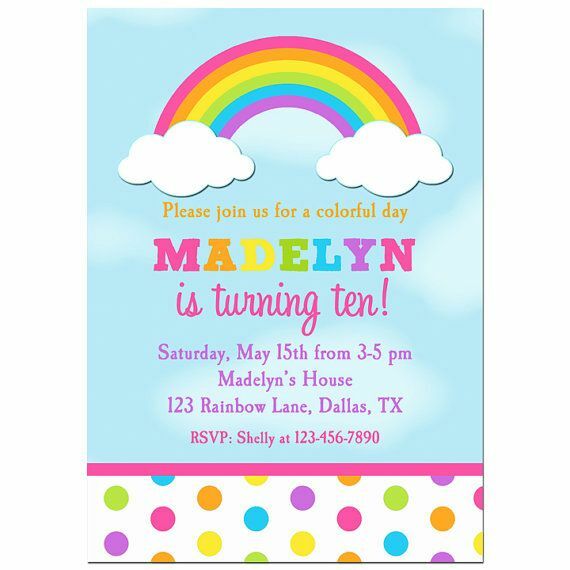 Below we have several stunning rainbow birthday invitations layout you can get freely. It is specially design for you. The layout we used is in cartoon version, since it is cuter than using the real photo. However you may add your favorite self portrait on the invitation card. Use an editing software program like Photoshop to do the job. This card has 5″ x 7″ landscape size and it is good for a birthday invitation card. In the center we provide a blank space to be filled up with the party details. Write down the date, time and location using your favorite fancy texts. You can also give the email or RSVP number, so that the guest can confirm their attendance. 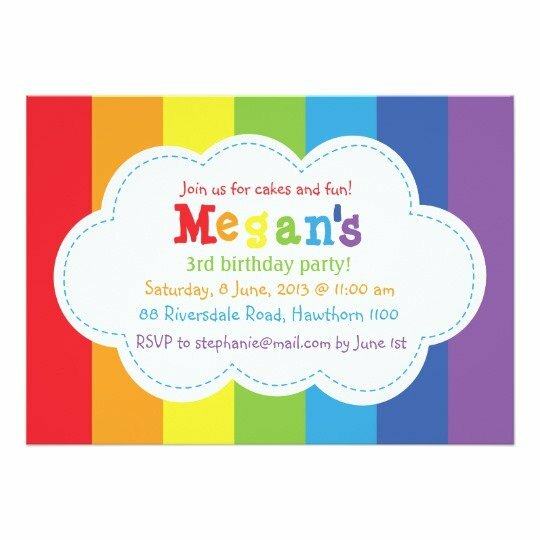 Are you wondering how to get these rainbow birthday invitations layout? It is really easy. You need to click on the image and choose Save Image As menu. After that, put the file on your folder and it is ready to be customized. 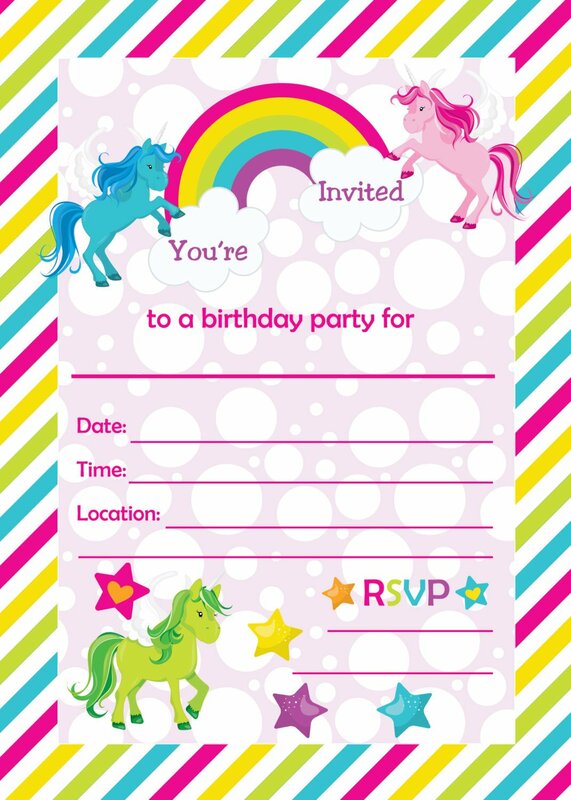 We recommend you to use a cardstock paper to print this card. Because this kind of paper has high quality and brings authentic images than other paper.